Joseph Blankholm is Assistant Professor of Religious Studies at the University of California, Santa Barbara. His research focuses on secularism and atheism, primarily in the United States, and relies on a range of empirical methods, including ethnography, archival and oral history, and quantitative analysis. Most recently, he has published essays in Public Culture and the Journal for the Scientific Study of Religion, and he is currently revising his book manuscript, tentatively titled, Purely Secular: Organized Nonbelievers and the Negated Tradition, which argues that scholars of religion should study secular people as inheritors of a religion-like tradition. He serves on the editorial board of the Journal of the American Academy of Religion, and he is also co-founder and co-chair of the AAR’s Secularism and Secularity group. He received his Ph.D. in Religion from Columbia University and his M.A. in Cultural Anthropology from the University of California, Irvine. 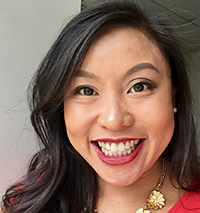 Melissa Borja is Assistant Professor of American Culture at the University of Michigan, where she is a core faculty member in the Asian/Pacific Islander American Studies Program. She researches migration, religion, politics, pluralism, and race in the United States and the Pacific World, with special attention to how religious beliefs and practices have developed in the context of the modern American state. Her book, Follow the New Way: Hmong Refugee Resettlement and the Practice of American Religious Pluralism (under contract, Harvard University Press) explores the religious dimensions of American refugee care—how governments have expanded capacity through partnerships with religious organizations and how refugee policies have shaped the religious lives of refugees. She earned a Ph.D. in History from Columbia University, an M.A. from the University of Chicago, and an A.B. from Harvard University. Before teaching at Michigan, she was Assistant Professor of History at the City University of New York. Chris Cantwell is Assistant Professor of History and an affiliate faculty of the Religious Studies program at the University of Wisconsin-Milwaukee where he teaches classes on American religions, public history, and digital humanities. His work explores the relationship between Christianity, capitalism, and collective memory in America, with a particular focus on public displays of religious knowledge in museums, libraries, and historic sites. 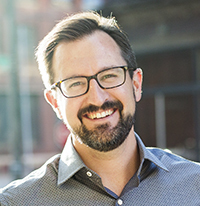 His current book project, The Bible Class Teacher: Memory and the Making of Modern Evangelicalism explores nostalgia’s place in the political imagination of Protestant evangelicals. He is a co-editor of The Pew and the Picket Line: Christianity and the American Working Class (University of Illinois Press, 2016), and his work has appeared in Religion, Practical Matters, Collections, The Public Historian, and The Atlantic. 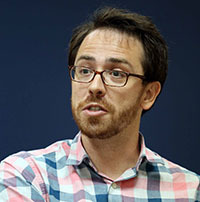 An advocate for the digital humanities, Cantwell is also the curator of a number of digital projects and is a co-author of Religion, Media, and the Digital Turn (Social Science Research Council, 2015), as well as a co-editor of the forthcoming Introduction to Digital Humanities: Research Methods for the Study of Religion (DeGruyter). 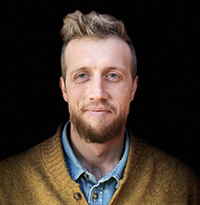 Matthew J. Cressler is Assistant Professor of Religious Studies at the College of Charleston where he teaches courses on religion and race in the United States with an emphasis on African American religions and Black freedom struggles. His research focuses on Black Catholics, racial justice, and racism in the U.S. Catholic Church. He is the author of Authentically Black and Truly Catholic: The Rise of Black Catholicism in the Great Migration (NYU Press, 2017). 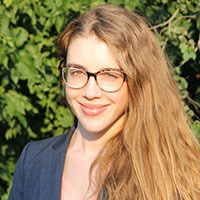 Cressler is currently at work on an article manuscript titled “Categorizing Catholic Racism,” which analyzes white Catholic resistance to desegregation in the 1960s, ‘70s, and ‘80s. He is also involved in a collaborative project tentatively titled “Catholicism, Colonialism, and Race in the Lands that Became the United States.” He received his M.T.S. from Harvard Divinity School and his Ph.D. in Religious Studies from Northwestern University. 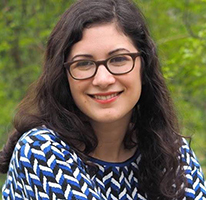 Sarah E. Dees is a postdoctoral fellow at Northwestern University. She is scholar of American and Indigenous religious history and culture. She received a PhD in Religious Studies from Indiana University in 2015 and taught at the University of Tennessee from 2014 to 2016. She is currently working on a book manuscript entitled The Materialization of Native American Religions: Cultural Science in an Era of Assimilation. This project describes the history and legacy of government-funded research on Native American religions, arguing that academic discourse on Indigenous religions has justified legal restrictions on Native American practices. Additional areas of interest include the commodification and appropriation of religion, popular culture, science and healing, materiality, and contemporary museum practices. Dr. Dees has taught courses on Native American religions; race and religion in America; religion in museums; and religious freedom and discrimination. 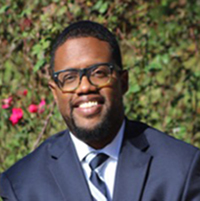 Jamil Drake is Assistant Professor in the Religion Department at Florida State University. He specializes in American religious history with a particular interest in 19th and 20th century African-American religious cultures; religion and politics; and religion and science. More specifically, he is interested in research questions around the history of religion, the social sciences, and racialization in the United States. He is currently writing an intellectual history of race, religion, and class entitled, Reforming the Souls of Black Folk: The Social Sciences and the Making of Working-Class Religious Cultures in the American South. This project explores how the use of the “folk” category in the social sciences played a fundamental role in the process of classifying religious behaviors of black lower and working-class southern populations in industrial America. 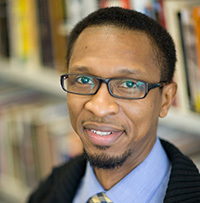 Jamil currently teaches undergraduate and graduate courses on race and ethnicity, labor and class, and culture and politics in American religion. Katharine Gerbner is Assistant Professor of History at the University of Minnesota. Her research explores the religious dimensions of race, authority, and freedom in early America, the Caribbean, and the Atlantic world. Her first book, Christian Slavery: Conversion and Race in the Protestant Atlantic World, shows how debates between slave-owners, black Christians, and missionaries transformed the practice of Protestantism and the language of race. Her new book project, “Constructing Religion, Defining Crime,” examines how some non-European religions – particularly those that were practiced under slavery – have been excluded from the category of religion and criminalized over the past three centuries. Another project investigates the religious and medical practices of enslaved Africans in the Caribbean, paying particular attention to obeah. She has an MA in History and PhD in the History of American Civilization from Harvard University. 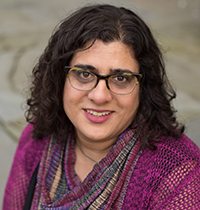 Samira K. Mehta is Assistant Professor at Albright College. Her research focuses on American religious cultures and the politics of family life in 20th and 21st century America. The author of Beyond Chrismukkah: The Christian-Jewish Blended Family in America (University of North Carolina Press, 2018), Mehta’s current project, God Bless the Pill? Sexuality, Contraception, and American Religion examines the role of liberal Jewish and Protestant voices in competing moral logics of contraception, population control, and eugenics from the mid-twentieth century to the present. She is the co-chair of the Religions and Families in North America AAR Seminar Group and on the steering committee of the North American Religions Program Unit. Mehta has held fellowships from the John W. Kluge Center of the Library of Congress, the American Council of Learned Societies, the Sloan Foundation’s Center for Myth and Ritual in American Life, and the Northeastern Regional Fellowship Consortium. 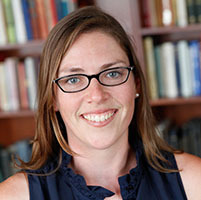 Shari Rabin is Assistant Professor of Jewish studies and Director of the Pearlstine/Lipov Center for Southern Jewish Culture at the College of Charleston. Her research and teaching centers on American religions, Jewish history, and their intersections. Her first book, Jews on the Frontier: Religion and Mobility in Nineteenth-Century America (NYU Press, 2017) demonstrates how geographic mobility shaped the religious idioms, institutions, and ideologies of American Jews in the period between 1820 and 1880. It was the winner of the 2017 National Jewish Book Award in American Jewish Studies. New projects focus on the formation of southern Jewish heritage and on Homes for Aged and Infirm Hebrews around the turn of the twentieth century. She received her PhD in Religious Studies from Yale University in 2015. 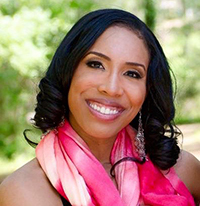 Alexis S. Wells-Oghoghomeh is Assistant Professor in the Religious Studies department at Vanderbilt University. A historian of African-American religion, her research and teaching foci include religion and American slavery, religious exchanges and productions within the African Atlantic, race and religion in the U.S., and U.S. women’s religious histories. Her forthcoming book project entitled The Souls of Womenfolk: The Religious Cultures of Enslaved Women in the Lower South explores female-centered sacred cultures among enslaved Africans and African-Americans in Georgia from the colonial period to the onset of the Civil War, and argues for a gendered methodological approach to the study of “slave religion.” Her work has received support from the Ford Foundation, Mellon Foundation, and Forum for Theological Exploration. She received her B.A. in English from Spelman College, and Master of Divinity and Ph.D. from Emory University. Sylvester A. Johnson is Assistant Vice Provost for the Humanities and Professor of Religion and Culture at Virginia Tech, where he is directing a new humanities center. His research has examined religion, race, and empire in the Atlantic world; religion and sexuality; national security paradigms; and the impact of intelligent machines and cybernetic enhancement on human-machine futures. In addition to co-facilitating the Religion and US Empire working group with Tracy Leavelle, Johnson has also directed an AI project that developed a machine learning application to read a humanities text. Johnson completed his PhD at Union Theological Seminary, where he studied race and religion with James H. Cone. Before joining the faculty at Virginia Tech, he served as a faculty member in the Philosophy and Religion program at Florida A&M University in Tallahassee, Florida; in Religious Studies at Indiana University-Bloomington; and at Northwestern University in the departments of African American Studies and Religious Studies. His first book, The Myth of Ham in Nineteenth-Century American Christianity: Race, Heathens, and the People of God (Palgrave 2004), is an award-winning study of race, Christianization, and religious hatred. Johnson has also authored African American Religions, 1500-2000: Colonialism, Democracy, and Freedom (Cambridge University Press 2015). This book, which earned the Choice Award for 2017, interprets five centuries of Atlantic world history to explain the connections among democracy, colonialism, and freedom. Johnson is a founding Co-Editor of the Journal of Africana Religions, a peer-reviewed journal that publishes research on religion in Africa and throughout the Black diaspora. Johnson recently coedited (with Steven Weitzman) The FBI and Religion: Faith and National Security Before and After 9/11 (University of California Press 2017). He is currently producing a digital scholarly edition of an early English history of global religions and writing a book on human identity in an age of intelligent machines and human-machine hybridization. Sally M. Promey is Professor of American Studies and Professor of Religious Studies in the Faculty of Arts and Sciences at Yale University; and Professor of Religion and Visual Culture at the Yale Institute of Sacred Music [ISM]. She is founding Director of the Center for the Study of Material and Visual Cultures of Religion (MAVCOR), generously supported by grants awarded in 2008 and 2016 from the Henry Luce Foundation as well as by the ISM and Yale University. MAVCOR’s second project cycle, a five-year international scholarly collaboration titled “Material Economies of Religion in the Americas,” is underway. Promey’s current book projects include volumes titled “Religion in Plain View: The Public Aesthetics of American Belief” and “Written on the Heart: Sensory Cultures, Material Practices, and American Christianities.” Most recently, she is contributing author to and editor of Sensational Religion: Sensory Cultures in Material Practice (Yale University Press, 2014); and coeditor, with Leigh Eric Schmidt, of a volume titled American Religious Liberalism (Indiana University Press, 2012). She is recipient of awards, grants, and fellowships including the American Academy of Religion Award for Excellence in the Historical Study of Religion, the Charles C. Eldredge Prize for Distinguished Scholarship in American Art, a Guggenheim Fellowship, a residential fellowship at the Woodrow Wilson International Center for Scholars, two Ailsa Mellon Bruce Senior Fellowships (1993 and 2003) at the Center for Advanced Study in the Visual Arts, and a National Endowment for the Humanities Fellowship for University Teachers. 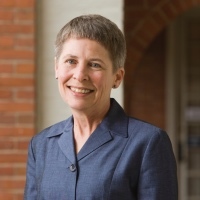 In 2018-2019 she will be Mellon Distinguished Scholar in Residence at the American Antiquarian Society.